Help CentreUsing SuperControl Managing enquiriesCan I have an enquiry form on my website? 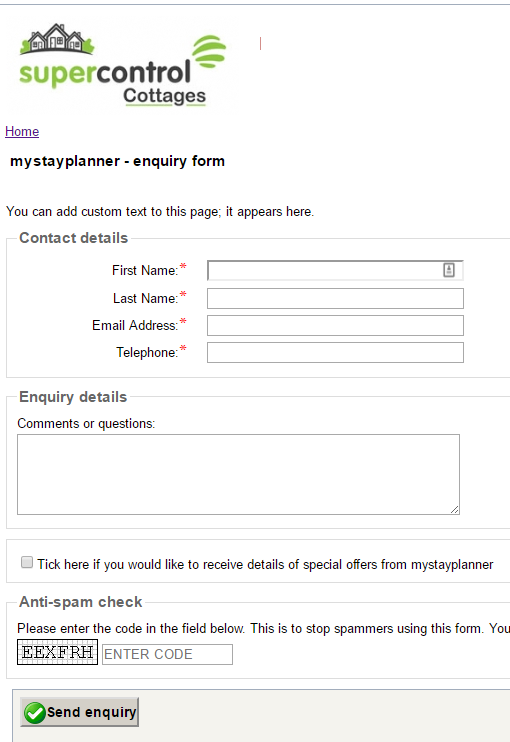 "Yes", we recommend that you add an enquiry form to your website as a part of the set-up process. Any enquiries will then feed through to your SuperControl account. It is possible to link to a simplified enquiry form (just name, email, and telephone number) or you can choose a more detailed full enquiry form (showing customer details and how they found your website). 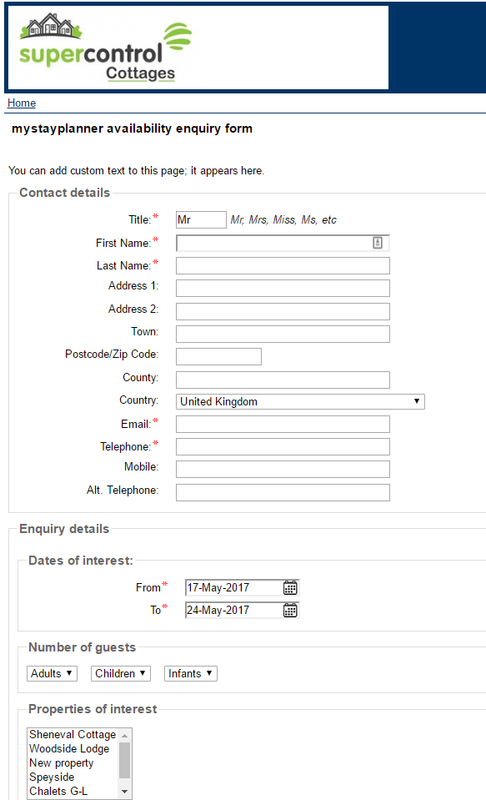 The availability enquiry form lists dates of interest and properties of interest on the form. 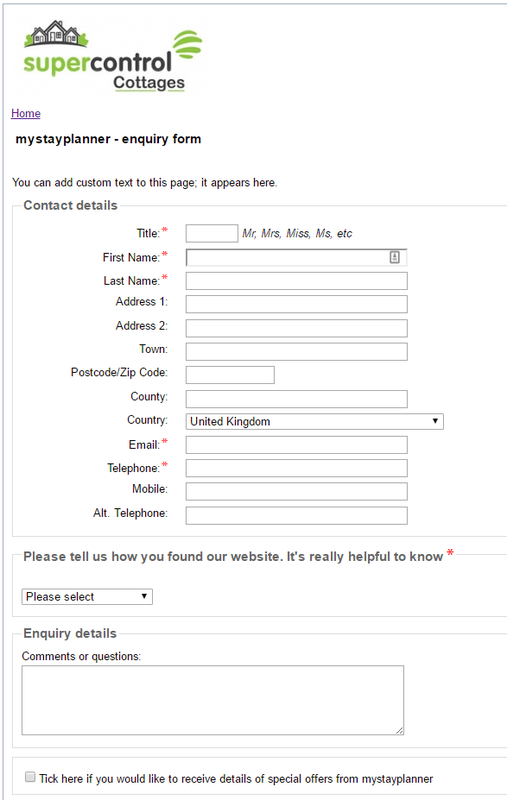 The simplified enquiry form is by far the most popular version because the user has less to fill in, so is more likely to complete the form and send it through. The more enquiries you have, the better! 1. Go to Admin > Integration HTML. 2. Scroll down to the enquiry form section. 3. Click the link "availability enquiry form", "full enquiry form", and "simplified enquiry form" to see examples. Choose which form suits you best. 4. Pass these links to your web developer who will be able to set it up on your website. Prev: How do I set-up how my property photos display on a quote? Next: Can I create my own questions to ask on an enquiry form?